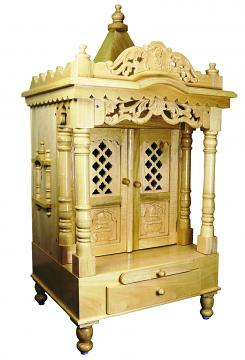 The gallery style structure is made from real Savan wood with antique designing. Beautiful style traditional wooden temple with doors. You can arrange your God in the most convenient way to give an eye captivating and devotional look to your pooja room. 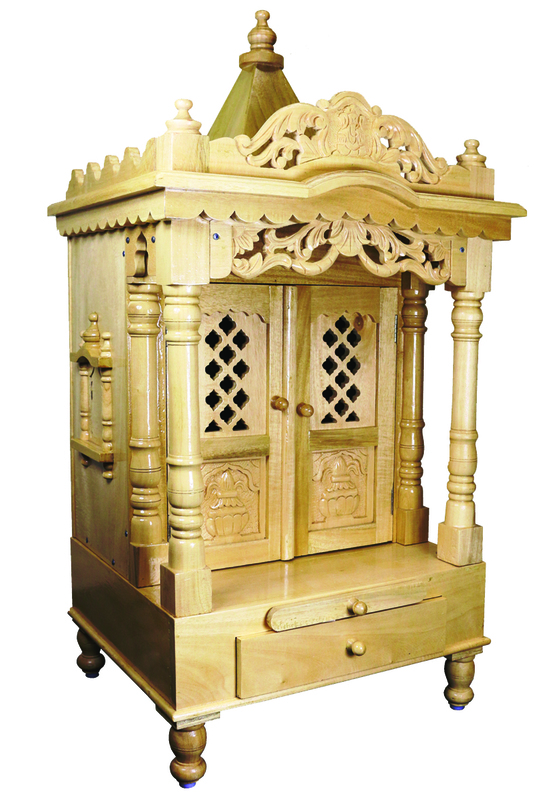 Buy Intricately Carved Savan Wooden Mandir For Home w/ Doors 18"X36", sold & shipped by Indian Root where you can shop online for Exclusive Collection of Ethnic Indian Gift & Home Decor Item. This Pooja Mandir collection has been tagged as Sawan Wooden Hindu Temple, Religious Item, Indian Handicraft, Home Decor Pooja Ghar Mandappam, Shrine, Worship Spiritual Altar.